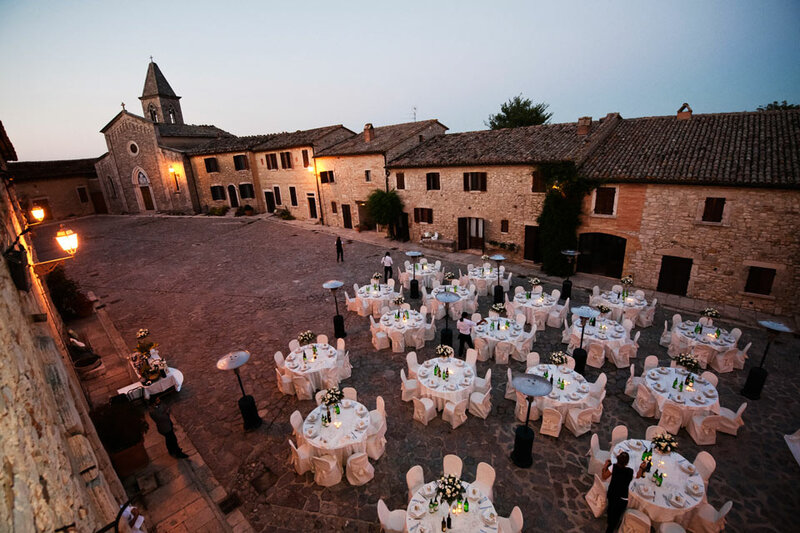 Get married in a whole ancient village, it’s an amazing experience that will bring you in the authentic Italian tradition! 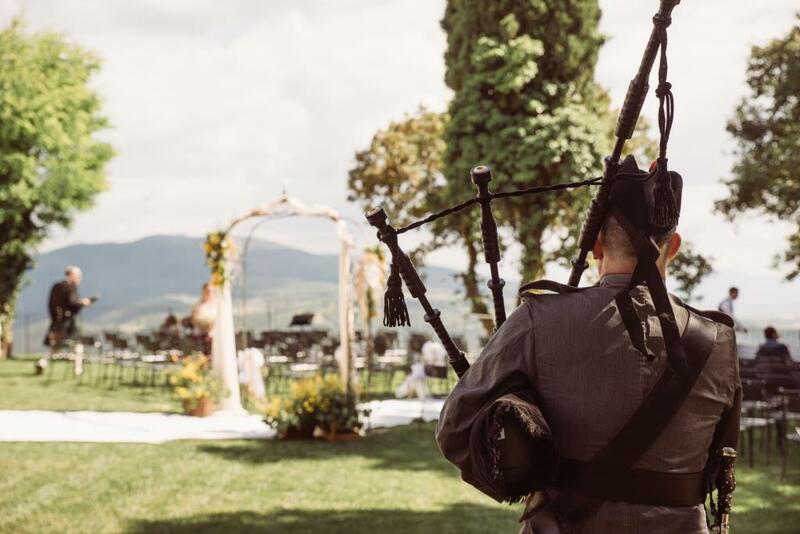 This small village, today a modern estate, is surrounded by 2.000 hectares of maquis, woods, vineyards and olive yards and is located on a panoramic position on the hills between Orvieto and Todi. From its favourable position it dominates the valley below with the enchanting Lake Corbara. 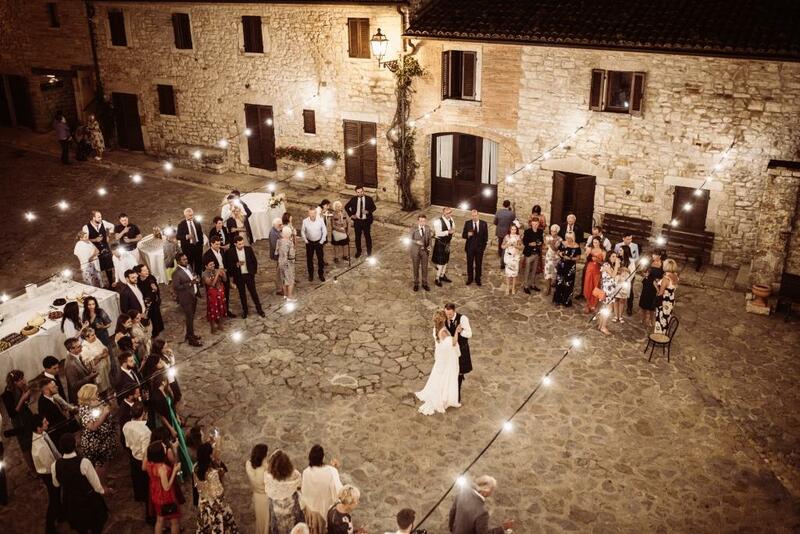 The village has been recently restored, respecting the original characteristics. The castle offers double or twin rooms, double rooms, divided in two areas, room with cooking corner and flats. All rooms and flats are equipped with private facilities and furnished with elegant and comfortable style. 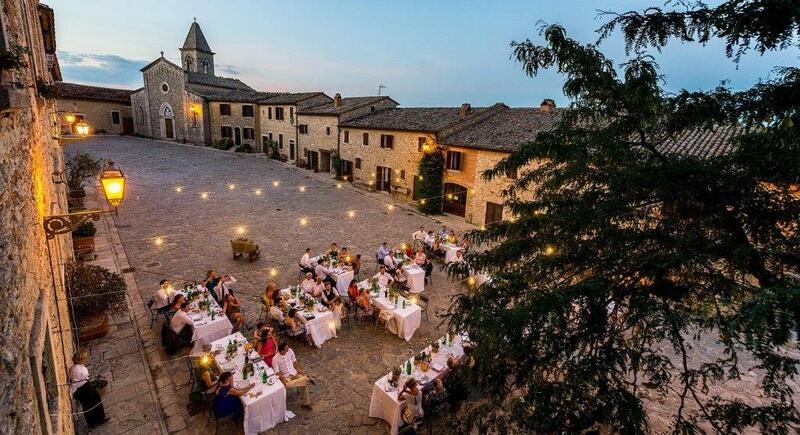 It is possible to have lunches or buffets in the restaurant or to the open air and to celebrate religious ceremonies in the church of the village. In the village, there are several areas and green places to dedicate to various activities. It is a calm place for your rest and free time moments and moreover, it is a favourable places to the personal and group productivity. 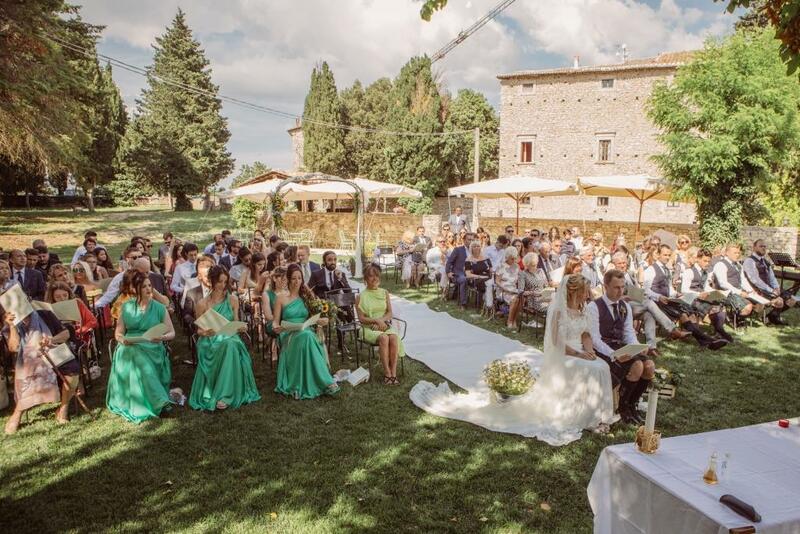 Pretty catholic church on the ground and a private garden for symbolic ceremonies makes this small village a fantastic location to host your Italian Wedding!